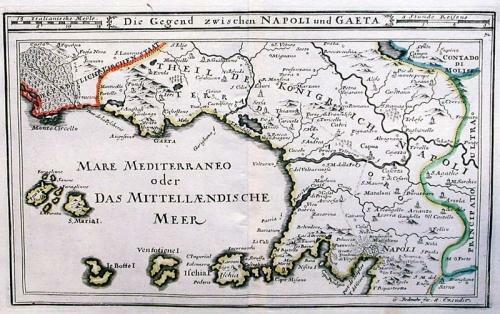 A 300 year old tourist map and guide of the countryside around Gaeta and Naples with numerous towns and villages shown. To the south of Naples Mount Vesuvius is shown erupting. Scarce.